The following questions can be used as discussion points for peer groups or self-reflection of practice. The questions for this peer group discussion relate to two of the articles from the recent “Older people’s health” theme. It is strongly recommended that the linked articles are read before considering the questions. Often knowledge of the patient’s medical history and circumstances will guide a clinician to identify frailty without the need for a formal assessment, e.g. if they need assistance in their daily activities or to do their grocery shopping, or they are in long-term residential or hospital-level care, then they likely have frailty. Some of this information may come to the clinician indirectly from family members, whānau or other caregivers who notice changes to their relative’s health state. Patients may be reluctant or unable to share this information themselves, possibly due to fear of the consequences, e.g. potential loss of independence, denial over their declining health, or because they are unaware, e.g. cognitive impairment. Some groups within our society, e.g. people of Māori ethnicity, have higher rates of frailty and experience it earlier, often due to multiple co-morbidities. Understanding how frailty impacts upon health, particularly in the context of prescribing and reviewing medicines, can help to minimise harm and improve outcomes for older people in primary care. 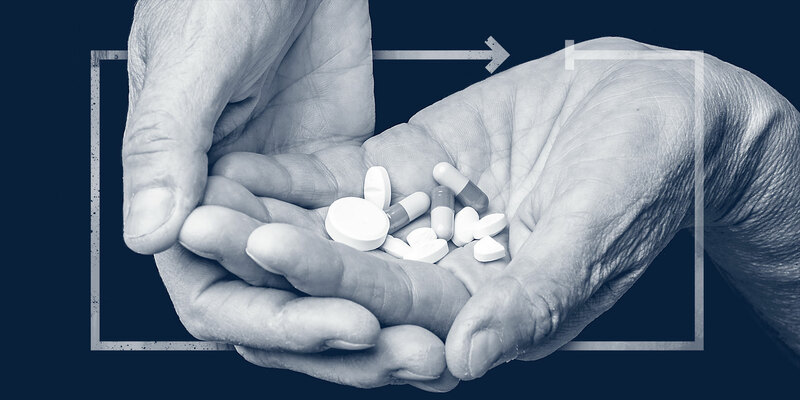 In general, older people are prescribed more medicines than younger people, which contributes to a higher risk of adverse effects and this risk is increased further in those who are frail. Not all medicines are intended to be used indefinitely and the balance of benefits and risks associated with each medicine and dose can change over time, e.g. due to co-morbidities or a fall. Guidelines typically use a strict age criterion when discussing whether to prescribe or withdraw a medicine, e.g. over 70 years, however, considering frailty on an individualised basis is likely to be more useful in practice. Is the concept of managing a patient based on their level of frailty new to you? Or does it describe something that is intuitively done by primary care clinicians - just without the term “frailty” attached? How confident are you in assessing someone as frail and using this as a basis for decisions regarding health management? Do you think you will view older people with a different lens based on this concept? There is currently no consensus as to how frailty is defined clinically. The article provides information on several objective methods that may be used to identify frailty, such as, the timed-up-and-go-test and grip strength. In your experience do you find these tools/tests useful? If so, which ones? If you rely more on clinical experience what factors do you consider? Do you actively stop medicines in older people? If so, do you have certain medicines that you consistently discontinue? What criteria do you use for deciding to stop them? If you do not routinely de-prescribe, do you have particular reasons why not, e.g. difficulties when conveying the benefits and risks to a patient or fear of an adverse event? Do you think after reading these articles that you may consider stopping medicines more often, especially in older people who are frail? The pharmacist can often play a valuable role in optimising medicines in older people and many general practice teams work closely with their local community pharmacists. Do you think that there is effective liaison between general practices and community pharmacists in New Zealand? If not, do you feel that this could be improved and if so, how?